When you take all the Starduster design and plane form beauty, add in the pure fun, add in performance and set up a single-place machine, you get the Super Starduster. 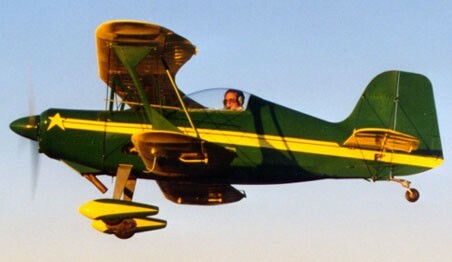 If a single-place, unlimited-aerobatic, full-thrill biplane is in your future, check this one out. Take-off and landing is easy, 70-mph patterns are no problem, stall at 58, never exceed at 210 mph and rated at +/- 7 G, and turns that no one can match make this an outstanding machine. Engine size is the 180 or 200 HP Lycoming with a pumped-up engine really showing its stuff. Racing at Reno or just chasing the wind, the Super Starduster is hard to beat.